I spend a great deal of time meeting our clients. Of late, I have noted that a common theme unsurprisingly, is the focus on being innovative to support growth and the taking of market share. Many clients observe that they made significant investments in their core systems 10-15 years ago with the reasoning that investing in an infrastructure gave them long term agility to adapt to the changing business environment. However, several of these firms admit that in many instances this has not been the case in recent years and they are now looking to see how they may increase, or more accurately, regain business agility. In their analysis, clients choose to categorize efforts in a number of categories, namely: Technology, Business Domain, Delivery environments and Partnerships. 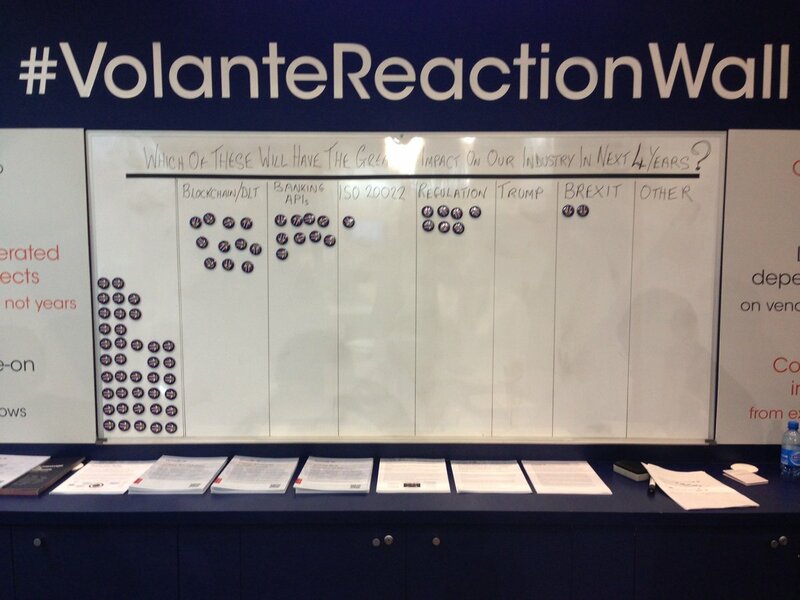 Certainly an interesting set of categories and I felt compelled to do the same - to look back over the past 6 months - since our last newsletter - at what Volante has achieved within these categories to help our client base increase their long term business agility. Looking at our achievements in the technology category, predominantly in the world of APIs, we created VolPay Channel: Open Banking - a solution designed specifically to help banks accelerate their adoption of banking APIs to work with payments related Third Party Providers (TPPs) while complying with the European PSD2 regulation. In late 2017, we contributed to the business domain category with the announcement that Volante Technologies teamed up with BNY Mellon to enable the first real-time payment in the U.S. over The Clearing House’s new RTP network, using Volante’s VolPay Hub technology. We have also considered the increasing appetite from financial services firms for cloud-hosted opportunities and in response have made the VolPay Suite of payments products available to all customers on the cloud, thus contributing to the delivery environment category. Finally, in the partnerships category, we have been very busy indeed expanding the breadth of service and reach for our client base by entering into a number of new partnerships with organizations. These include: Microsoft Azure, ensuring all our products are now available on cloud as well as on-premise; Token, delivering a joint proposition that enables banks to offer additional services and enhanced customer experience without the need to re-engineer back-end payment systems to handle API based payment processing, and; Open Vector, to offer an end-to-end solution (specialist consulting with technology solutions) for Open Banking implementations. In fact, we are delighted to feature an article in this edition from Open Vector’s CEO Carlos Figueredo. And finally; e-Vision, bringing the VolPay Suite of payments processing products to the North African and Egyptian markets. As always my team and I remain committed to providing the best and most innovative technology-based solutions to our clients, If you have any questions or comments we’d be delighted to hear from you. Following the theme of previous newsletters, there continues to be exciting developments in the global payments industry. While the European market waited for the go live of the pan-European EBA Clearing SEPA Credit Transfer Instant (SCTInst) RT1 platform, it was the US RTP system from the Clearing House (TCH) that drew the industry’s attention going live a week earlier. Working closely with TCH, Bank of New York Mellon led the push for this ground-breaking new payments infrastructure and was the originator of the first live payment over the new network. Volante is excited to be at the forefront of the adoption of real-time payments processing both in the US and across the globe. With the RT1 system going live, coupled with its connections to a number of domestic real-time payment systems, it enabled over 500 European institutions to send pan-European instant SEPA credit transfers. In Europe, the push towards an open banking environment continues apace with the UK Open Banking regulations now fully live and PSD2 entering into force on January 13th, 2018. For PSD2 however, European-wide implementation of open access to customer account is likely to take much longer as banks absorb the rules on strong customer authentication (SCA) and standards for common and secure communication (CSC) following final publication of regulatory technical standards by the European Commission in November 2017. Following EU Parliament and Council review, and ratification likely in March of this year, there will be an 18-month period for banks to implement. Debate continues as to what open banking API standards will emerge as the common “standard” with various industry groups publishing APIs that will adhere to the Regulatory Technical Standards (RTS). However, technical challenges aside, with apparent widespread consumer scepticism of the very nature of financial data sharing, the rollout of widespread open banking services may take some time. On a similar regulatory note, following a year postponement, the capital markets MiFID II / MiFIR regulations finally went live (January 3rd 2018). 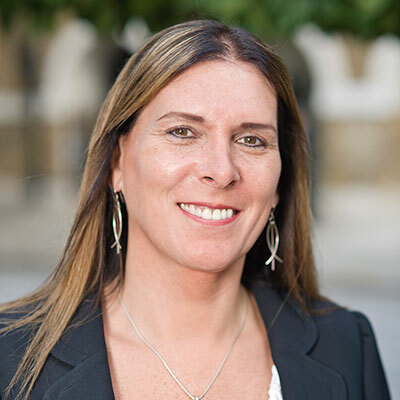 However, with only 11 of 28 member states having transposed the regulation into their domestic law, and a number of leading exchanges being given exemptions relating to non-discriminatory access, the adherence and compliance to the new rules, particularly on transaction reporting, is somewhat muddled. It appears that organizations across the industry are still struggling to be compliant with the increased level of transaction scrutiny the regulation requires. Finally, a word on the cryptocurrency price boom widely reported at the end of 2017. Bitcoin has seen a meteoric rise in 2017 peaking at $20,000 from around $1,000 at the start of 2017 and, despite some correction at time of publication, it’s price has been fluctuating around $10,000 (defying some of the expectation that this was a bubble-like rise). Perhaps more impressive was the boom for Ripple’s bridging cryptographic token XRP rising over 3,000% in value during 2017, becoming the 2nd largest cryptoasset. (Ripple’s efforts to create an alternate mechanism for international payments for banks, as well as their public efforts to work with national regulators and closely with its financial institution users, suggests that it has a chance of eventually surpassing Bitcoin as the leading digital asset). Though the cryptocurrency boom is largely being driven by private venture and is somewhat unregulated, national authorities continue to investigate how use of a national digital currency could be of value to financial markets. A notable example being the Monetary Authority of Singapore (MAS) working with R3 and a number of vendors to investigate the use of DLT/blockchain tech for interbank payments The chances of DLT being adopted as an established mechanism for interbank payments appears to be much closer. In 2017, Volante Technologies entered into a partnership with Open Vector, the advisory firm providing open banking consultancy services to some of the world’s largest banking organizations. The partnership is designed to offer banks a joined-up approach for enablement of Open Banking – expertise in advisory and consulting on the legal and procedural aspects of Open Banking through to the agile technical enablement of the bank’s internal systems integration with Open Banking APIs. In this article, Open Vector’s CEO, Carlos Figueredo, shares some of his thoughts around a changing sentiment towards Open Banking. One of the clearest observations I can make in the early part of 2018 is a distinct change in sentiment towards the understanding, acceptance and adoption of Open Banking. Clearly regulation such as GDPR and PSD2 have acted as catalysts for adoption in the UK, but the interest we are now witnessing from other regions is particularly telling as they too, realize that harnessing and adopting an Open Banking approach presents opportunities to create new offerings, differentiate competitively and grow revenue. Putting the benefits of Open Banking to one side however, there are still technical challenges when looking to implement an Open Banking strategy; whether your organization needs to flexibly connect to API components; integrate those APIs to the plethora of internal specialized banking processing applications or; whether coexistence capabilities are required. Whatever your challenge, I strongly suggest that your organization not only tools up to overcome these challenges in an agile, rapid and cost effective way, but also ensure you have the right level of access to strategic expertise. Adopting such a dual approach will undoubtedly make your organization’s Open Banking journey an easier one. ISO 20022 is a subject that I am very familiar with, having been a contributor to the standard since its inception and having written many articles and white papers on the benefits and challenges around the adoption and implementation of this standard. ISO 20022 has been around for more than a decade and for most of that period it has been viewed by much of the financial markets as something that is nice to have, but without a compelling event driving adoption. This has now changed and it would seem that the compelling event was the mandating of ISO 20022 messages for SEPA. It may be a coincidence, but it does appear to have been a tipping point. 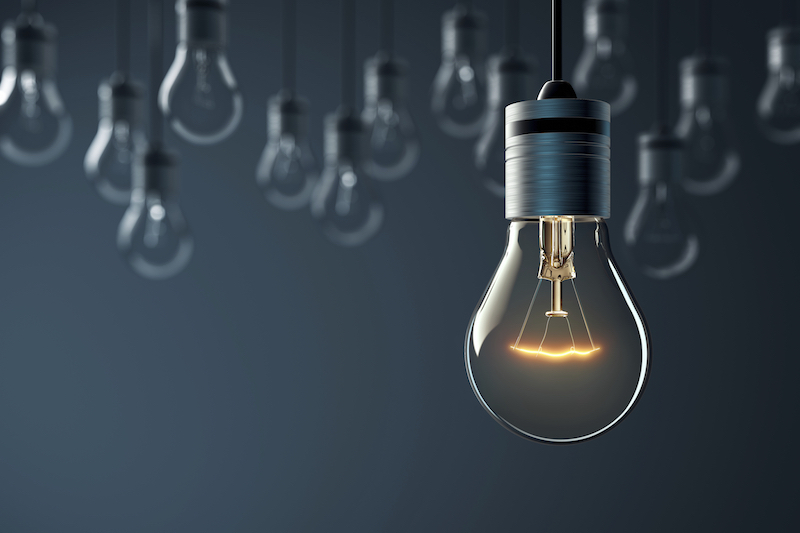 Once a large number of firms were required to adopt ISO 20022 for a specific part of their business, it then became a case of finding areas to reuse the same logic given that much of the processing can then be shared across asset classes. This is especially true in the payments world where many of the world's payments infrastructures, such as domestic ACHs, have used highly proprietary message standards for decades. Over the past couple of years, many ACH and RTGS infrastructures have, or intend to, migrate to ISO 20022-based messaging. The rapid increase in the creation of Real-Time or instant payments has further increased adoption of the standard with pretty much all schemes adopting it across the world. The standard is also being adopted by many banks as the standard approach for onboarding clients’ payment initiation instructions and cash management requirements. ISO 20022 can now truly be said to be the de facto global messaging standard for the financial services industry. Within capital markets, adoption is also gaining pace. 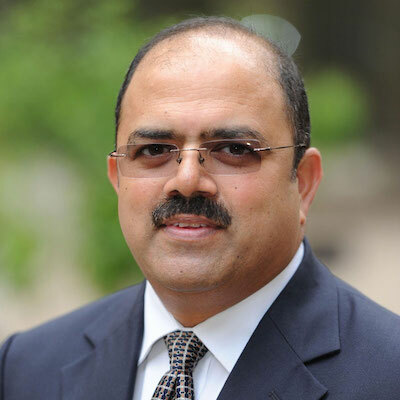 Investment funds largely migrated to ISO 20022 a number of years ago with respect to SWIFT messaging, followed by T2S also going live recently with an ISO 20022-based architecture. New regulation has also seen adoption with, for example, those emanating from the EU now mandating ISO 20022 as the only allowable message format across all new regulations such as MiFIR, SFTR, MMSR and CSDR. The pace of change is such that ISO 20022 can now truly be said to be the de facto global messaging standard for the financial services industry. Standardization of messaging will, at a stroke, cut enormous cost and risk across the whole market by enabling a consistent approach to structuring information, which in itself enables greater STP and agility in onboarding clients, trading partners, and communicating with clearing and settlement venues and regulators. It will not, however, achieve these high objectives unless organizations are able to integrate the data internally and pass it through to the next processing recipient in real-time. This challenge is however, more than simply understanding the basic messages but also the fact that implementations of the same syntax vary given different context such as, which scheme is implementing them. Fortunately, with Volante’s ongoing and proven commitment to providing technology supporting the automation of ISO 20022-based integration in a maintainable fashion that reduces the cost of implementation and ongoing ownership, this goal is achievable for any type of firm. I have recently updated a very popular Volante white paper I created a few years ago entitled ISO 20022 - A simple guide to a complex subject. Feel free to download this new edition here. I hope this will act as a valuable resource as you carry out work around the ISO 20022 message standard. A week later, Volante was delighted to announce all its payments products are now available on Microsoft Azure’s cloud. Accessing the VolPay Suite on the cloud, means users avoid hosting on-premises, or in a datacenter and benefit from access to ‘evergreen’ technologies - taking advantage of new functionality as it becomes available immediately (rather than upgrading their software or hardware). 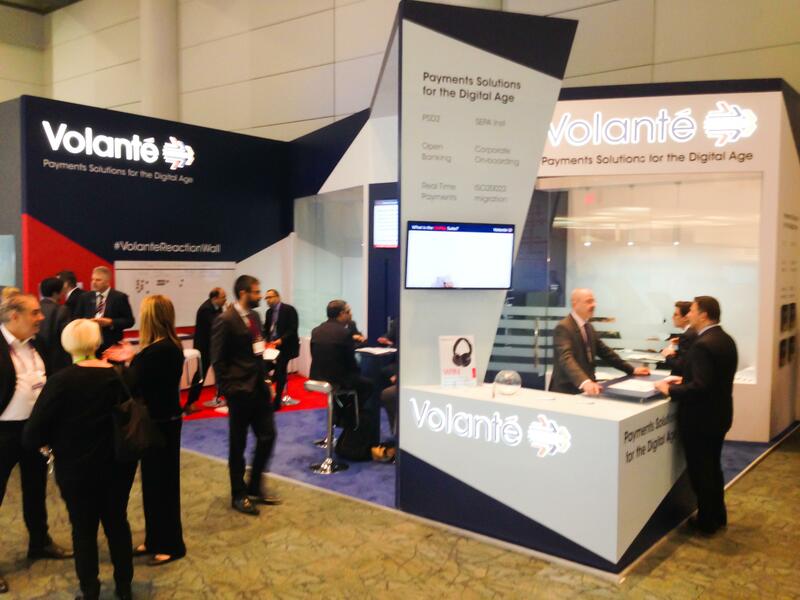 The new partnership gives Volante’s customers added choice in how they address their payment transformation projects. On October 19th, Volante hosted its second webinar on real-time payments, this time from a global perspective. It was very well attended, with over 100 people joining, and included guest speakers from BNYM, HSBC, Volante’s Head of Payments Products, and with Gareth Lodge from Celent as moderator. Some themes explored include how real-time payments are gaining momentum worldwide, the evolution of RTP, the growing pressures on payments systems, the technical implications of implementing RTP schemes and more. In November, Volante and Open Vector announced their partnership to bring a much needed, rapidly implementable end-to-end open banking solution to clients across the globe. Open Vector provides direction and strategy to clients, while Volante’s open banking API enabling technology ensures firms can easily adopt new API-based technologies regardless of their current banking systems infrastructure. This means firms can not only take advantage of the opportunities that open banking presents on an ongoing basis, but also ensures compliance with key regulations coming into effect such as PSD2 and GDPR. 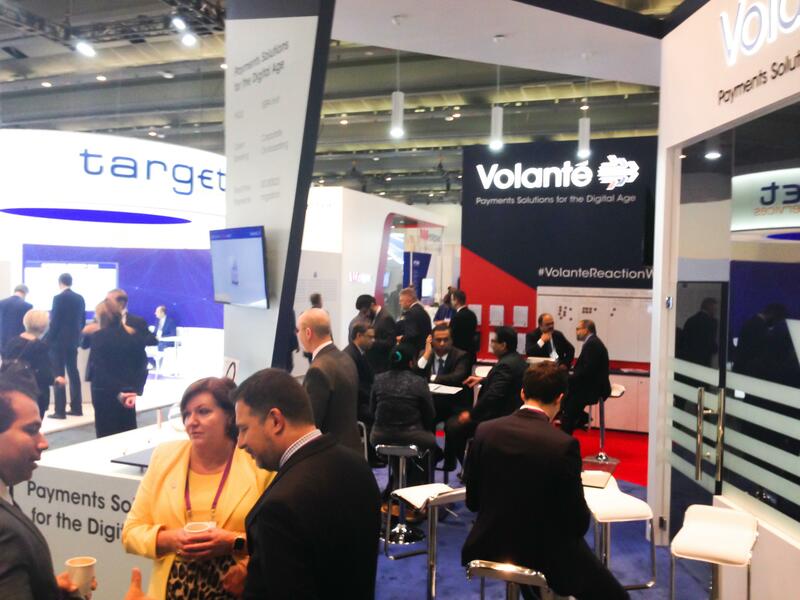 Again in November, Volante and North African payments experts eVision announced their partnership, bringing Volante’s VolPay Suite of payments processing products to the North African and Egyptian markets. After rigorous evaluation, eVision chose Volante to address their clients’ needs in the payments market in an efficient and agile manner. In January 2018, Volante Technologies teamed up with BNY Mellon to collaborate on payments technology innovation. In late 2017, BNY Mellon became the first bank to successfully originate a real-time payment over the The Clearing House’s new Real-Time Payments network, using Volante’s VolPay Hub technology. This was groundbreaking, and Volante was delighted to be at the forefront of this big leap in payments innovation. Most recently, at the end of February 2018, Volante successfully hosted the third in its webinar series, this time looking at RegTech. More than 100 participants signed up to listen to Aite Group, JWG Group, Deutsche Bank AG and Volante Technologies debate the answers to questions such as how are firms addressing the increasing number of compliance requirements; what kinds of pain points related to implementation does the industry see when it comes to regulatory reporting, and; how is technology playing a part in all of these obligations? If you have any specific in-house challenges relating to regulatory reporting please do drop us an email at regtechwebinar@volantetech.com. 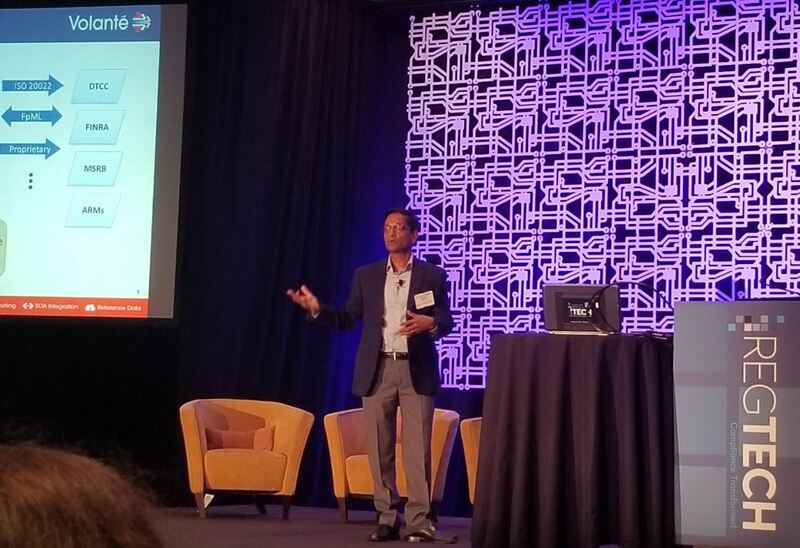 In October, Volante Technologies’ CEO Vijay Oddiraju was interviewed by Banking Technology where he spoke on the topics of agility, automation and how Volante intends to prosper in the fast moving and competitive world of payments. Payments are the lifeblood of our financial ecosystem, growing in variety and complexity every day, so financial institutions have to move quickly on changes in the market to take advantage of new opportunities. To help explain how Volante enables firms to take advantage of these opportunities, in October Volante released a short, informative animated video on VolPay for Payments. Volante Technologies was delighted to announce its VolPay Suite of Payment Products is now available on Microsoft Azure's cloud. In a video interview with Microsoft in October, Vijay Oddiraju comments on payments innovation and how having VolPay on the cloud is opening doors for Volante. 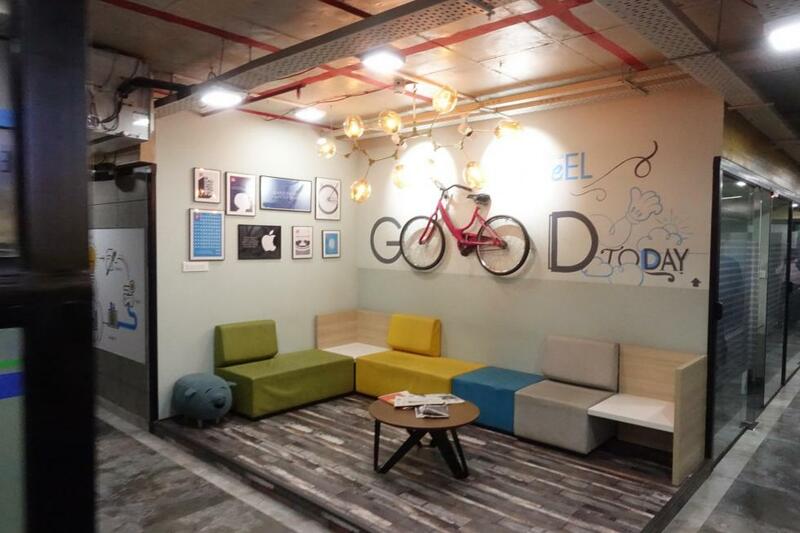 In another exclusive interview with Microsoft, Nadish Lad talks about innovations within payments and cloud services. 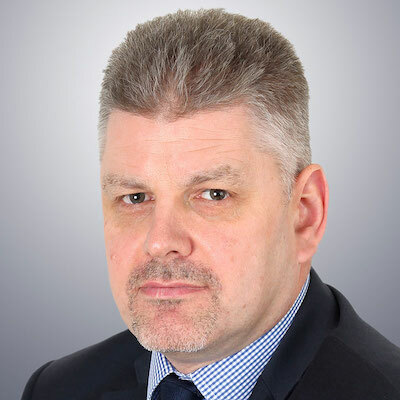 Also in October, Neil Clarke penned an article for Banking Technology on the subject of PSD2, and how much progress has been made in moving the banking industry to adopt APIs. In an exclusive interview with Banking Technology in November, Nadish Lad, Head of Payments Product, explains the firm’s foundation, vision and its key unique selling propositions including Volante’s “golden principle” supporting its promise of accelerated implementations through automation, out-of-box plugins, configuration rather than coding, and inbuilt desktop testing. In November, Nadish Lad spoke to Finextra at SIBOS 2017 about the growing trend towards ‘payments as a service’ in the cloud, how the VolPay Suite of payments products is easily deployed in the cloud because of its very modern architecture, and what sort of services customers can expect to see being offered in the cloud. In another interview with Finextra at SIBOS, Fiona Hamilton, Research Director and VP Europe, Volante Technologies, talks about the importance of SWIFT gpi, what the technical challenges are around implementing SWIFT gpi and how key suppliers can help firms overcome these challenges. In March 2018, ISS-Mag published Fiona Hamilton’s white paper ISO 20022 – A Simple Guide, Updated. Designed to be an update to one of the most downloaded white papers of all time published by ISS-Mag, the paper is a guide for firms undergoing any ISO 20022 implementation project. 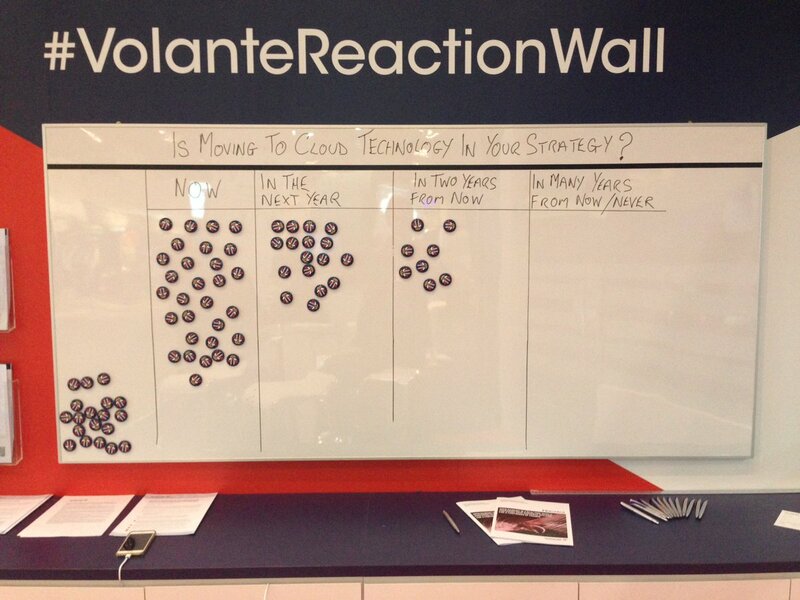 Volante once again put up the popular #VolanteReactionWall to gauge the sentiment of people we spoke to, as well as passersby. The responses demonstrated that people are actively planning for new technologies within their firms, including embracing APIs and cloud-based services. In one of the questions, 62% of voters also believe that President Trump will have the biggest impact on the global economy - more so than Brexit or Kim Jong-Un! Also in October 2017, Venkat Malla, Co-founder and Head of Product Management at Volante, spoke on the challenges and intricacies of transaction reporting and demonstrated a prototype at The American Banker’s RegTech event in Brooklyn, New York. Volante is constantly looking for ways to foster innovation, particularly in India where the core of Volante’s innovation is created. 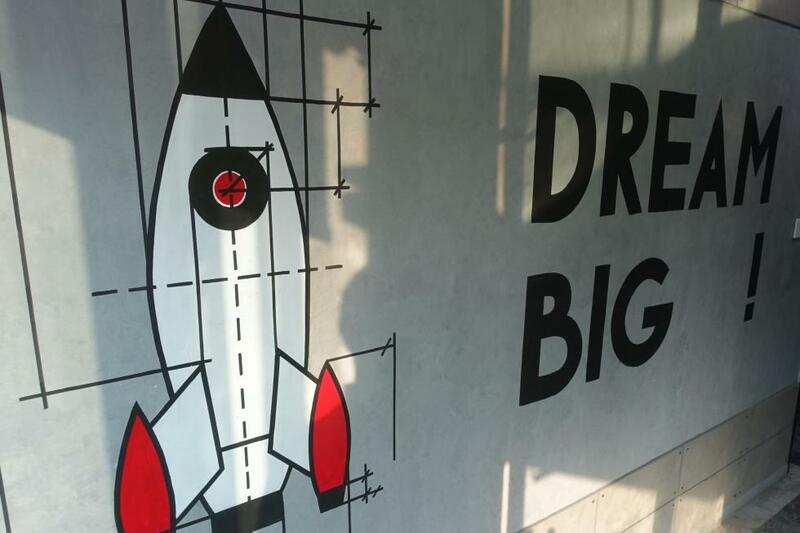 So when a new initiative called iSprout approached Volante's CEO, Vijay Oddiraju to join its board last year, he jumped at the opportunity to be there from the start. 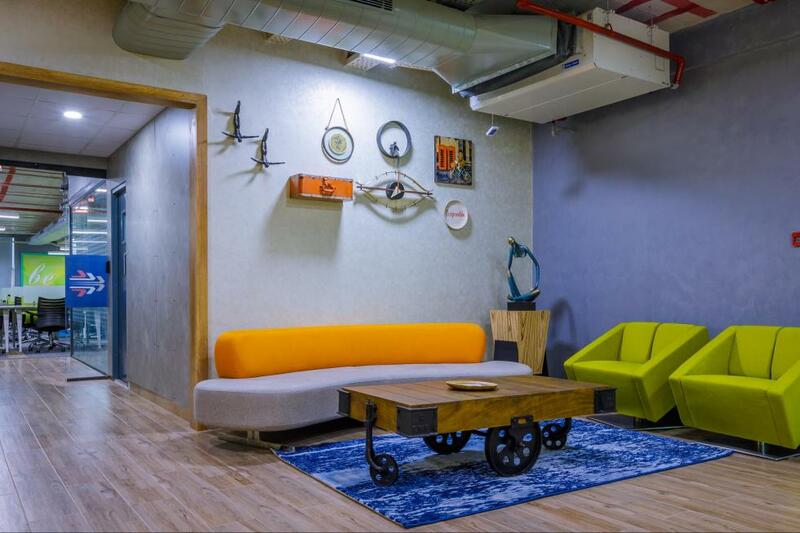 Located in Hyderabad, iSprout offers modern physical office space combined with consultative services to startups in order to help foster innovation and entrepreneurship. 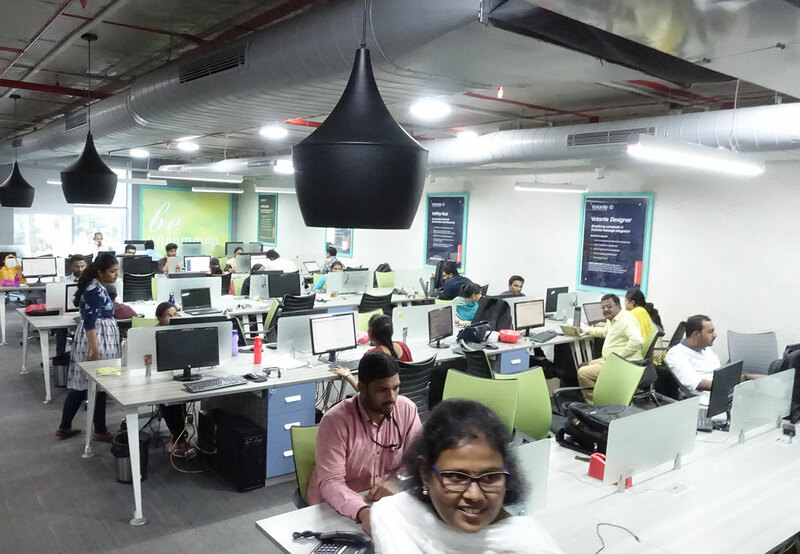 Volante’s work with iSprout includes leasing out some of Volante’s own office space in Hyderabad as well as providing mentorship opportunities to start-ups. This includes providing information on elements such as tax structures, project management, financial advice, etc., as well as making invaluable introductions to angel investors and other key industry players. Volante Technologies today is certainly not what you would describe as a start-up, but its mindset is the same - always thinking creatively and coming up with new and innovative approaches in the application of technology to solve business problems. Mixing with and supporting start-up companies in the same environment can only lead to good things! What began a tech startup from the west coast of America 17 years ago, Volante Technologies has now grown into an established provider of smart technologies with experience that can be shared with new startups, helping to encourage a culture of innovation and fresh thinking. We look forward to developing the iSprout program further by offering a series of startup workshops and by working closely with local universities.